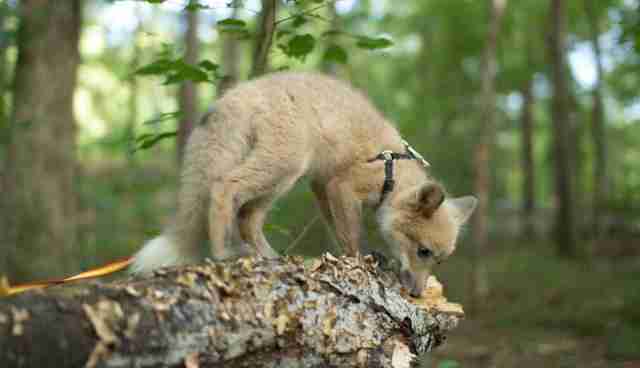 Nirvana the fox was born on a large fur farm in Minnesota. If she had stayed there, she never would have made it out alive. A young woman purchased Nirvana from the farm in order to save her life, and then took her to live at A New Hope Animal Sanctuary in Georgia. Since she grew up on a fur farm, Nirvana will be unable to be released into the wild, and thus will spend her life at the sanctuary - but luckily, she won't be alone. 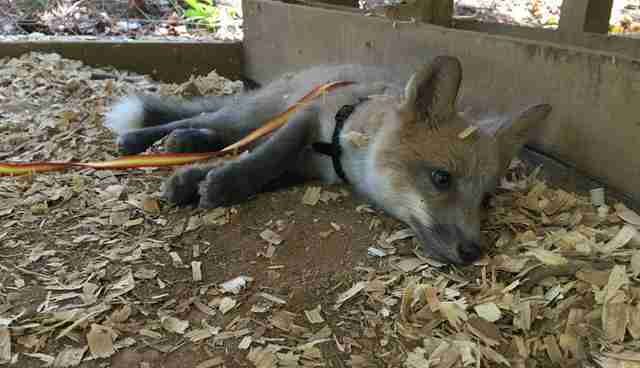 A New Hope Animal Sanctuary has several foxes in its care, including one named Soul. 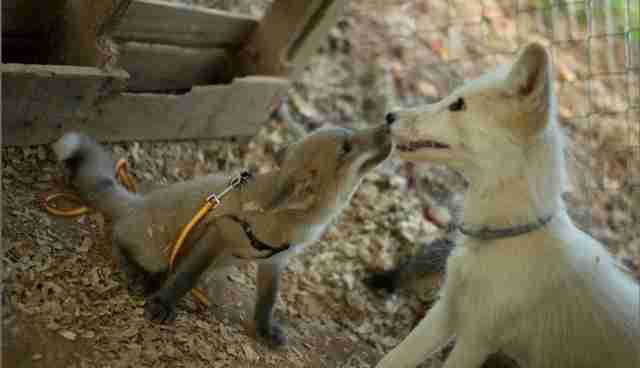 When Soul first arrived at the sanctuary, he didn't quite fit in with the other foxes, and ended up making friends with a dog instead. "We were hopeful he would someday find a friend that likes him despite his goofy personality," Maxine Baird, director of the sanctuary, told The Dodo. "Now that Nirvana is here, that day has finally come!" Nirvana turned out to be exactly the kind of friend Soul had been searching for. They hit it off immediately and absolutely adore each other. 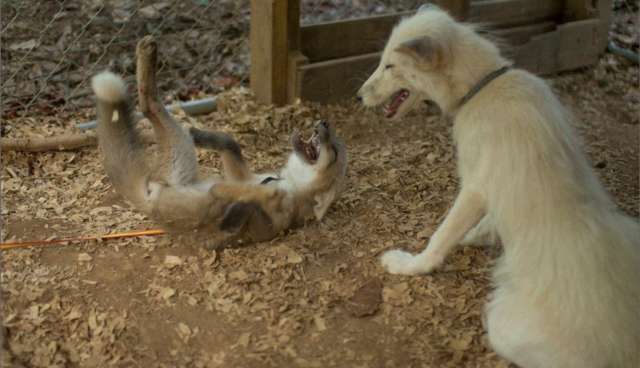 Because she grew up on a fur farm, Nirvana never really learned to just let loose and be herself, and now she has Soul to help teach her how. "She grew up in a space too small for her to do much of anything, so she hadn't had the chance to develop her personality or find out who she really is," Baird said. 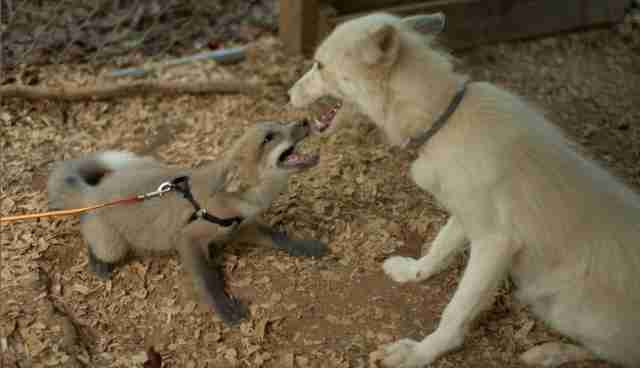 "Soul has been teaching her the ways of the fox, and she is learning with eager attention. The two couldn't be more perfect for each other." Nirvana is still very unsure of humans, and won't allow anyone to pet her. She grew up in what was likely a very harsh environment, so it's not surprising that she's still a little wary. 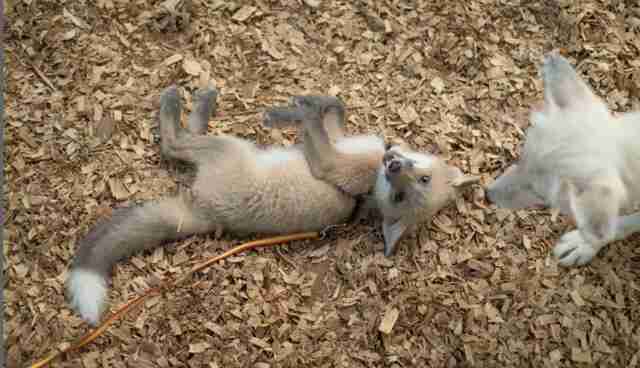 With the help of Soul, though, she's been coming out of her shell and acting more and more like a playful fox cub every day. "Every day we see her becoming herself a little more," Baird said. "Right now we'd describe her as clumsy, shy, but very sweet." 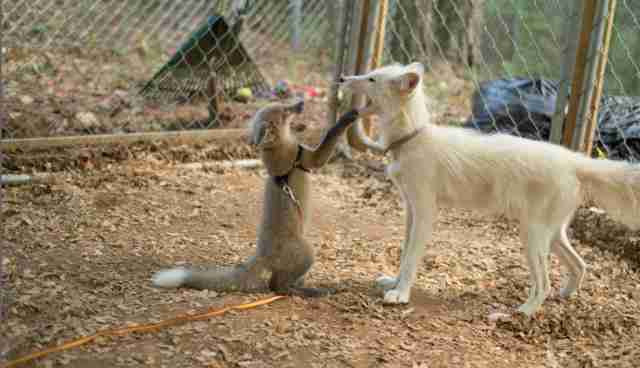 While this duo is very sweet, foxes definitely do not make good pets, and belong either in the wild or at sanctuaries. Keep up with the adventures of Nirvana and Soul on the sanctuary's Facebook page.